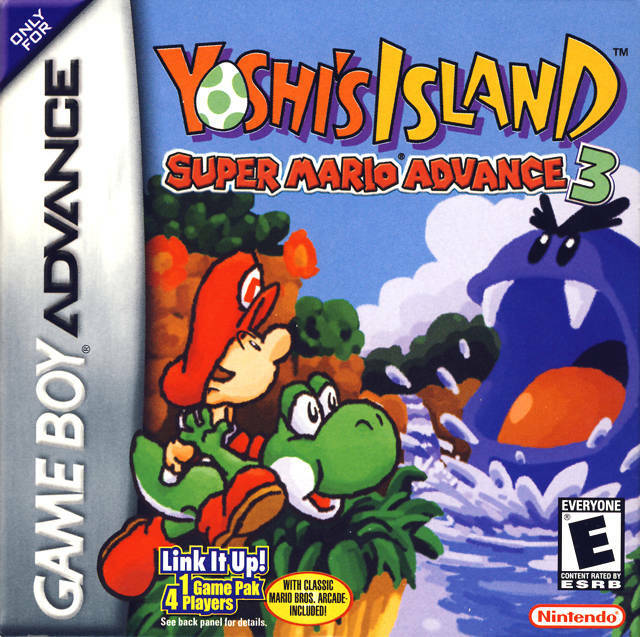 Yoshi's Island Super Mario Advance 3 GBA Game Boy Advance Game Cartridge Cleaned Tested and Guaranteed to Work! I initially was having issues with the game freezing on me but after getting in contact with Lukie Games, they gave me some instructions on how to possibly fix it and it worked. Now I'm playing it without any issues. Good customer support. The game is a lot of fun. And it is kind of cute which makes my sister enjoy it to. Great game at a price that can't be beat! (currently $8.47) This cart includes the original snes game, as well as the Super Mario bros. arcade game. (With improved graphics!) I don't see any reason not to buy this classic. I got the game and the game boy advance on time for my brother's birthday. He loves it and it brought him memories of his childhood. I can play 2 games in one cartridge. I can play Mario bros or Yoshi Island . Yoshi can make eggs , spit watermelon seeds l can be different colors of Yoshi's and Yoshi can flutter jump . My favorite level in Yoshi island is Nep Enuts domain. I will by from you again Thanks Lukie . The transfer from NES to GBA for super mario 3 is probably the best I have seen. I got this as a secondary game to play and it quickly became my favourite because of how crisp the game play and graphics are. simply amazing. Great remake of a great game and you can play it on the go. Really enjoyable and it was in great quality. It's very difficult these days to get a legit copies of gba games but each game that I bought here I got the original and not fake one. One of my favourites for GameBoy Advance! Thanks guys for selling this. I picked up a game boy advance at a yard sale. I looked for games on The Google. Came across this web site. After looking through the selection they had everygame I would like to play. It was reasonably priced and it arrived within my expectation for standard shipping. The game plays great. I did have to delete the previous owners game but not a problem. Fast delivery; good price. Thanks for the deal, Luki. If you played Yoshi's Island for the Super Nintendo, you know exactly what you're getting. If you didn't, expect a friendly, family oriented video game that plays like any old Mario title. Side scrolling, classic fun. Highly recomended. I actually bought this game for me. 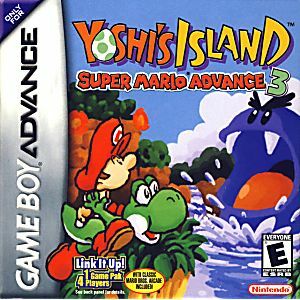 I enjoy this yoshi island game. Very fun and makes you want to keep playing to the next level.